The Securities and Exchange Commission (SEC) wishes to inform the investing public that Mr. Tajudeen Folaji, a former stockbroker with First Alstate Securities Limited, has been sentenced to seven years imprisonment by the Lagos State High Court presided over by Justice Kudirat Jose. The court found him guilty of unauthorized sale of shares and stealing for fraudulently converting 31,886,200 units of IPWA Plc shares worth N331,297,618 belonging to an investor on 3rd April, 2008. 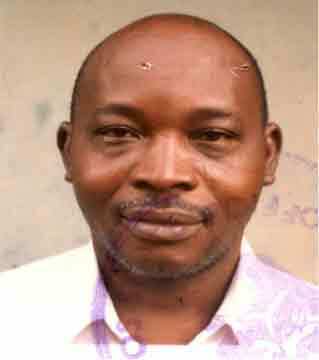 In addition to the imprisonment, the court has directed the Economic and Financial Crimes Commission (EFCC) to trace and liquidate properties belonging to the convict in order to restitute the investor while imposing a N20 million fine on First Alstate Securities Limited where he was the Managing Director and dealing clerk. This successful conviction is a testament to the excellent collaboration between the SEC and the EFCC to advance the goal of investor protection. Following complaints against Mr. Folaji by the affected investor, the Commission launched a detailed investigation that revealed evidences of the infractions committed. The Commission consequently suspended the license of his firm on 6th April 2010 and transferred the case to the EFCC to prosecute the criminal element of the case. Mr. Tajudeen Folaji studied economics and became a member of the Chartered Institute of Stockbrokers in 1996, he worked as a banker before joining First Alstate Securities Limited in 2004. The SEC wishes to use this opportunity to reassure the investing public that it will continue working diligently to ensure that any capital market operator who defrauds an investor is convicted and that all illegally gotten wealth will be disgorged for proper restitution of investors. We shall continue to partner with relevant law enforcement agencies to rid the Nigerian capital market of crime and other forms of malfeasance.